The supplies were running a bit low when this shot was taken. 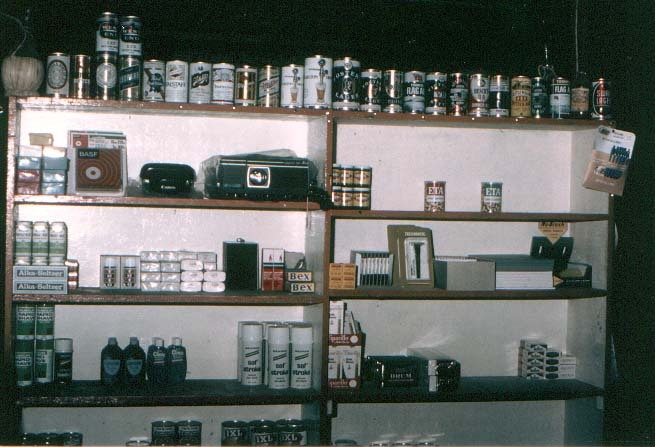 But if you look on the left hand side of the top right hand shelf you will notice supplies of that famous Aussie staple "Vegemite". Ah yes, it truly did go everywhere us Aussies went.